It impossible to keep up with my pair and the cartoons they like. 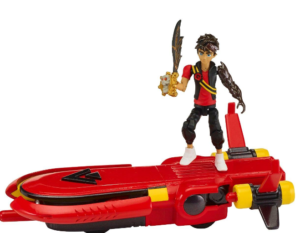 Zak Storm is the newest dude on their radar. I thought he was a superhero however I am reliably informed by an almost 6 year old that he most certainly is not! Rather he is a really cool pirate who ended up with sucked into the Berumda Triangle after taking his fathers necklace. From here he captains a ship called “The Chaos” (how very appropriate for my house :-)) and goes on many adventures in an attempt to find his way home. The are lots of different toys in the collection available however for the purpose of this review we were sent the hover vehicle and figure together with the coins which are available to buy separately. While I can’t profess to know much about the TV series what I can tell you about is the cool add on feature to this toy. 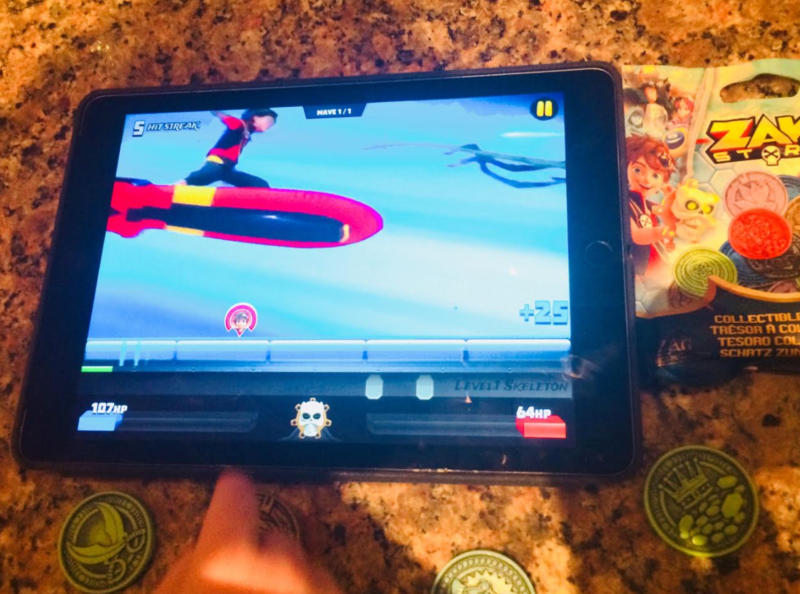 You can download the Zak Storm app for iOS or Android for free. From this you can play the game or if you wish you can buy the coins (4pk) which feature a unique QR code that you scan via the camera feature on your tablet to reveal digital rewards, including weapons, powers, and health. This was the biggest selling point for my oldest. While he still loves playing with toys, the ability to add Tech to the mix and he is sold right away. For hims its almost taking it to the next level. He had no problem scanning the codes nor playing the game. I was impressed by the fact the coins aren’t an essential part of the game rather a bonus add on. They are a little pricey at around €5 but do add value to the game. All in all its a thumbs up from us. My son claims the app feature is seriously cool so I can see this one sticking around our house for a while. Note: We were sent the hover vehicle and 2 packets of coins for the purpose of this review however all view are mine and/or the boys where appropriate.